David Wegener wrote, “Our pastors preach through books like Ephesians and Colossians and sweat bullets as they approach Ephesians 5:22-24 and Colossians 3:18. And if they do preach on the topic, they talk mostly about what submission does not mean. So the final result is, ‘wives, be nice to your husbands. '” Yep, this is what it has come down to today. Most preachers are afraid to teach what submission is and what it looks like in a marriage. Forget teaching 1 Peter 3:1 about women who are married to disobedient husbands yet are supposed to be living in subjection to them. I would much rather focus upon what submission is than what it is not because this is what changes marriages for the good. Women don’t need to hear more reasons to disobey their husbands. They need to hear that they are commanded to obey their husbands “Even as Sara obeyed Abraham, calling him lord: whose daughters ye are, as long as ye do well, and are not afraid with any amazement” (1 Peter 3:6). 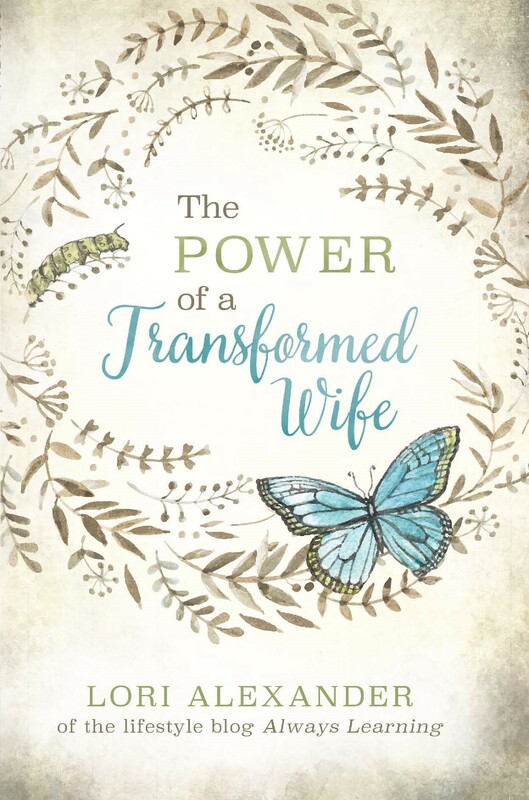 Then forget about hearing about wives submitting to their husbands “in everything” (Ephesians 5:24) without first being taught how loving, kind, and sacrificially husbands should be towards their wives as Christ loved the church. Therefore, wives are the ones who get to decide if they should submit and are even taught that their submission to their husbands is dependent upon their husband’s behavior. Women say that what I teach is “dangerous.” No, living in rebellion to the Word of God is dangerous; for we reap what we sow. Many today falsely believe that all suffering is evil. No, suffering refines us and makes us like Jesus. Read 1 Peter. We are responsible to follow Jesus and obey Him regardless of the cost to us; for in this there is great reward! We are responsible for loving our husbands according to God’s definition of love: long-suffering, kind, bearing all things, enduring all things, hoping all things, and believing all thing; for love never fails. It’s obeying Him even when we don’t feel like it. These are hard teachings in today’s feminist “hate the truth” environment in which we live but they hated Christ, so they will hate all those who teach the hard truths of God’s unchanging Word. His ways are good, women! They reap beautiful fruit. He’s our Creator and He knows what is best for us. Your husband’s eternal soul may be at stake if he is an unbeliever. Live like Jesus in front of him as His power works mightily in and through you. You have nothing to fear because God is fighting this battle for you. He promises to never leave nor forsake you. Learn to be a godly, submissive wife in the good times as well as in the hard times. You will be rewarded for your obedience. Yes, Lori, His ways are best for us women! Thanks for the relentless, continual encouragement from your blog. Praying for you and your blog ministry . Thank you, Holly. I very much appreciate your prayers! Lori, this blessed me, I hope it blesses you too. God is their strong defender and mighty fortress and He promises to NEVER leave nor forsake them. Yes, women who are married to unbelieving husbands must put their complete confidence and faith in Almighty God! Lori, I’ve been following your blog for a few months now. Thank you for your faithfulness to the Word of God. Even though your message is unpopular in today’s culture, it’s so needful. I’ve been blessed to have grown up with these teachings, and yet have still been immensely challenged and had some of the worldly thinking “washed” away by your faithful teaching what God says to us younger women. I stumbled across your blog while searching for help in my marriage. I have come to realize, after nearly a decade of marital conflict, that my rebellion and lack of submission has been at the root of many, if not all, of our “issues.” Many of the ‘help’ i have found through articles, blog posts, and opinionated comments, has been along the lines of what you describe: mere excuses to continue to not submit to the husband’s authority. Much of my/our struggle has been due to my rationalizing and justifying my own behavior, and it’s not hard to find support for that in a falle and increasingly depraved world, even within christian circles, as you’ve pointed out. I’m thankful that it’s your blog I was led to today in my search for help in getting back on the straight and narrow path. I am only at the beginning, truly, of finally waking up after years and years of narcissistic behavior and thought patterns on my own part. This final awakening has sadly come as a result of hitting rock bottom, so to speak, and only after much sincere and loving attempts at intervention on the part of my husband. After years of bearing with me (and I with him during past seasons where we allowed satan to have a foothold-from which Jesus delivered us time and time again), he has reached the point of exasperation and ultimatums. I know he’s barely holding on and feels he has no positive choices left, especially since we now have young children who are being negatively influenced by the constant tension, battling for authority, and conflict in our marriage. I know that I must take responsibility for the damage my behavior and actions have caused. I am prayerfully beginning this healing journey and am thankful I’m not alone. Thank you for expounding the much needed accountability that God’s word provides. I can completely relate to you since I was in the same place that you were years ago. When I clearly saw my sin, I was sorrowful and repentant. I went immediately to my husband and asked for his forgiveness. It was a journey and it took time to get where we are now but it is so worth the effort! Blessings to you.